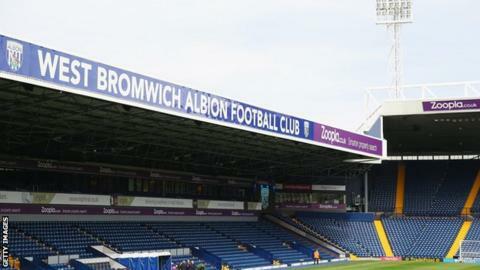 West Brom have suspended takeover talks with an unnamed bidder to end hopes of having new owners this month. The Baggies have ended a period of exclusive negotiations with the bidder, reported to be a Chinese consortium. "It is now clear to me that this potential purchaser is unable to fulfil the terms of that agreement at this time," said chairman Jeremy Peace. Peace, who owns 88% of the club, has been chairman for 13 years and would sell "if it was right for the club". He continued in a club statement: "The club's long-term stability and continued development is of paramount importance and I am not satisfied that the interests of West Bromwich Albion would have been best served by my continuing discussions at present. "It is important that I re-emphasise that the possible sale of the club does not and will not impact upon its day-to-day running and that this applies particularly in an area which I know concerns all supporters - team strengthening." I understand the deal was almost there but Mr Peace felt it in the best interests of the club he should stand back. There are other interested parties but it would take several months now to get close to a deal and Mr Peace feels a period of stability is now necessary and he is happy to continue at the helm. Meanwhile it's business as usual for West Brom on the transfer front as Tony Pulis tries to close in on, among others, Rickie Lambert, Matt Phillips, Ciaran Clarke and Abou Diaby - who's being examined today by the club's medical officers with a view to a pay-as-you-play deal. "As for the club's long-term future, it is true that both before and since the exclusivity announcement was made, other parties have expressed strong interest in a purchase of the club and therefore that process remains ongoing." Peace said earlier in July the club hoped to have new owners by the end of the month after entering a period of exclusivity with the bidder. Since Peace became chairman in 2003 the Baggies have spent only four years outside the top flight. The club reported pre-tax profits of £14.7m on an income of £86.8m for the year ending 30 June 2014.